5 hotels with a sea view are waiting for you in Camargue. Camargue is located in the Rhône delta. This area evokes images of freedom and authenticity as wild horses galloping into the sea. 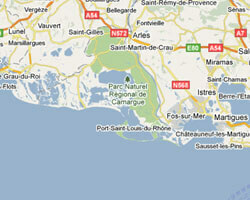 Les Saintes-Maries-de-la-Mer is a famous pilgrimage town. Marshes and Mediterranean Sea compose outstanding landscapes designated a Ramsar site as a "Wetland of International Importance". At the seaside you can find beautiful sandy beaches. Most kept a wild environment. 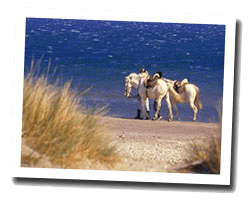 In Camargue enjoy the pleasure of a sea view hotel.